The Perfect Combination: A Delicious Food & A Real Taste of Chinese Culture. Grand Park Xian welcomes you with an array of distinctive dining choices compromising of three restaurants and bar. Park Palace, a reputable Chinese Xian restaurant, leads the way in making traditional Cantonese cuisine a modern affair, with chic oriental ambience of dark wood lattices and exquisite ornaments. For an extensive and lavish buffet, look no further than the Veranda Café. Soak in our hotel’s spacious and soothing ambience from the Lobby Lounge, offering a selection of light snacks and gourmet teas. This Xian bar is also one of the best places to wind down after a long day. A trendy casual eatery, Veranda Café offers exquisite a la carte selections as well as International and Asian buffet distinguished by the high quality of produce and deft culinary skills. Available for breakfast, lunch and dinner, guests may revel in an oasis of charm and tranquility under the skylight of the towering atrium at this Xi An restaurant buffet. Experience the signature appeal of Park Palace as authentic Cantonese delicacies inspire the senses with rich local flavours, textures and tastes. 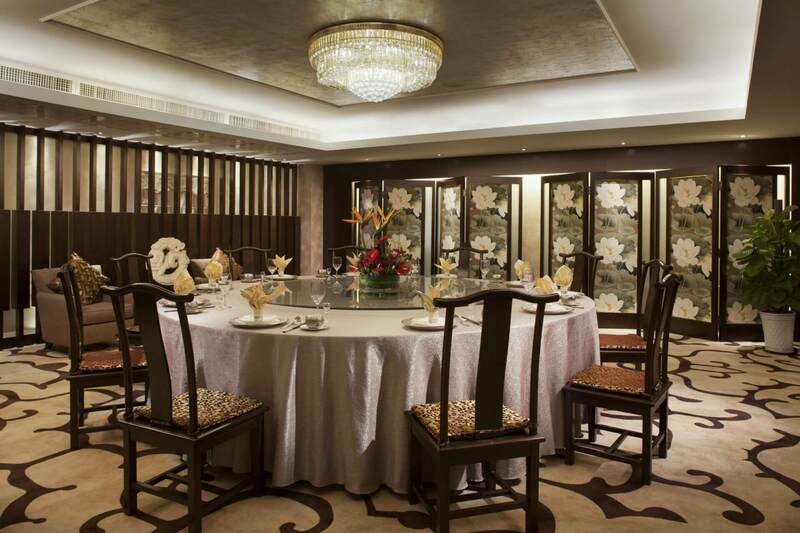 The choice Xian Chinese restaurant for business entertainment and social gatherings, Park Palace is decked with dark woods, ornate oriental details and a penchant for bold modern chinoiserie. Toast to your Xian dining experience with internationally acclaimed fine wines, specially selected to complement the Chinese cuisine. An ideal meeting place for business discussions, leisurely conversations or casual social gatherings over a cup of gourmet tea in Xian, the Lobby Lounge offers light bites throughout the day and a comprehensive gourmet tea menu. Located right in the centre of the atrium lobby, this is the perfect spot to people-watch, and take a break from the day’s sightseeing. A popular place for afternoon teas, the Lobby Lounge also has wireless Internet access.